Exxon Mobil subsidiary Esso Australia Pty Ltd. awarded integrated subsea engineering, procurement, construction, installation and commissioning (EPCIC) contracts to Subsea Integration Alliance, which comprises OneSubsea, a Schlumberger company, and Subsea 7. The work scope includes engineering, procurement, construction and installation of two production wells in a water depth of approximately 45m that will be tied-back to the Longford onshore gas plants. Project management and engineering will be provided by OneSubsea and Subsea 7 from local offices in Perth and Melbourne, Australia. Offshore installation activities are scheduled for 2020. The Subsea 7 scope includes project management, engineering, procurement, construction and installation of the two production wells and a single electrohydraulic umbilical from the Barracouta Platform to the West Barracouta drill center. 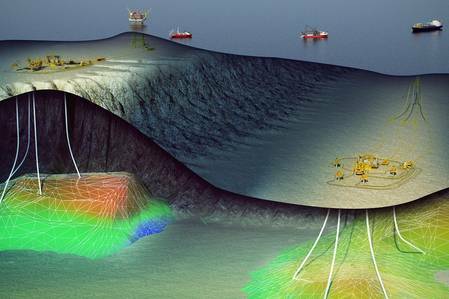 Subsea Integration Alliance said that the award represents its first integrated subsea project in Australia combining OneSubsea and Subsea 7 expertise in subsea production systems (SPS) and subsea umbilical, riser and flowline (SURF) systems.